AUSTIN, Texas — Diabetes is a disease that many people in Austin and around the country have to deal with. If your blood sugar gets too low or high, the situation can become dangerous. 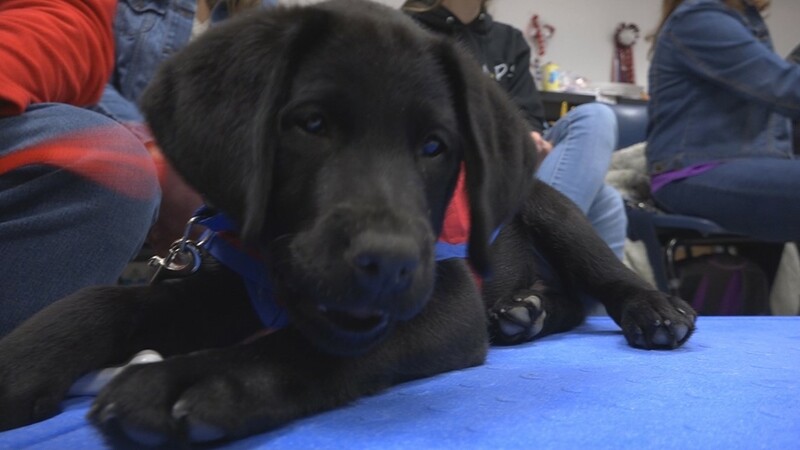 In a unique way, some Central Texas high school students are working to one day help out people who find themselves in these type of situations. Tiffany Black has always wanted to find ways to get her students hands-on experience in the classroom. 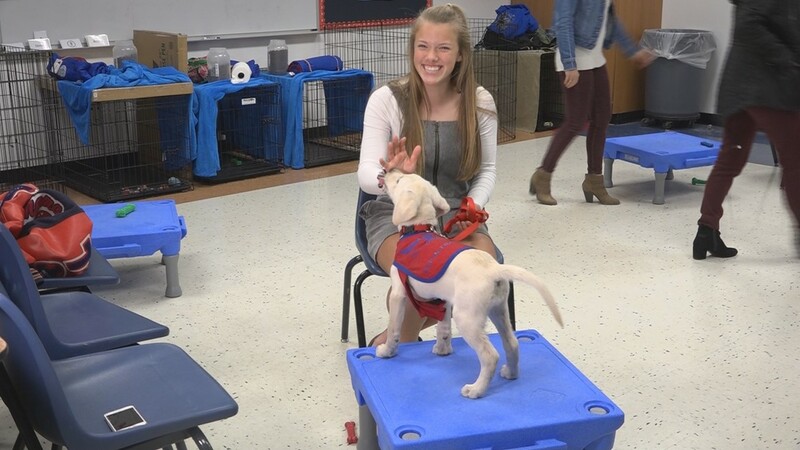 As the Agriculture-Science teacher and Future Farmers of America (FFA) advisor for Wimberley High School, she deals with many different types of students. "It's important to take what we're learning in the classroom and applying it to real-life skills," Black said. Black came across a unique opportunity when she came in contact with Todd and Becky Kier. 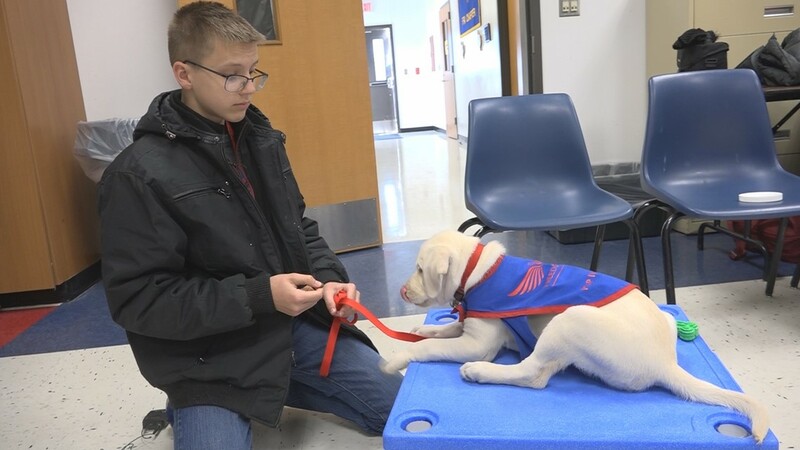 These two run Freedom Canines International, which works to partner life-changing assistance dogs with people needing their specialized skills. "Last year, Todd and Becky approached me about partnering with my classes," Black said. "We thought it would be a perfect idea." 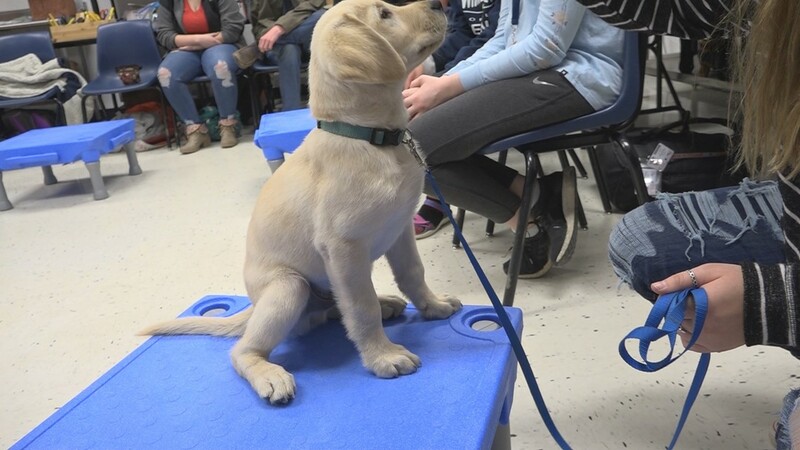 What these three came up with was allowing Black's students to start training puppies to be diabetic alert dogs, helping to know when someone's blood sugar level is getting to a dangerous level. 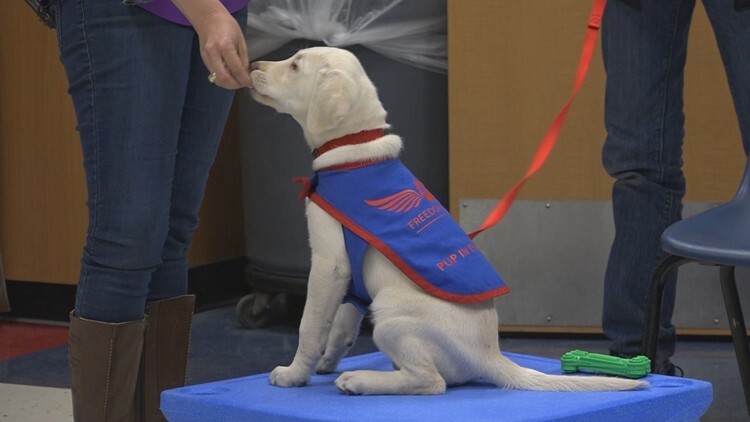 "You want that dog to start anticipating that physical cue that it already knows," Todd Kier said, when talking about giving the puppies certain commands. "Then you can add that to the verbal cue." So Black's classroom was given three dogs to work with -- Zinger, Zesty and Zam. They are paired up with three students -- Zane Shoebroek, Cassidy Heineman and Skylar Hammond. 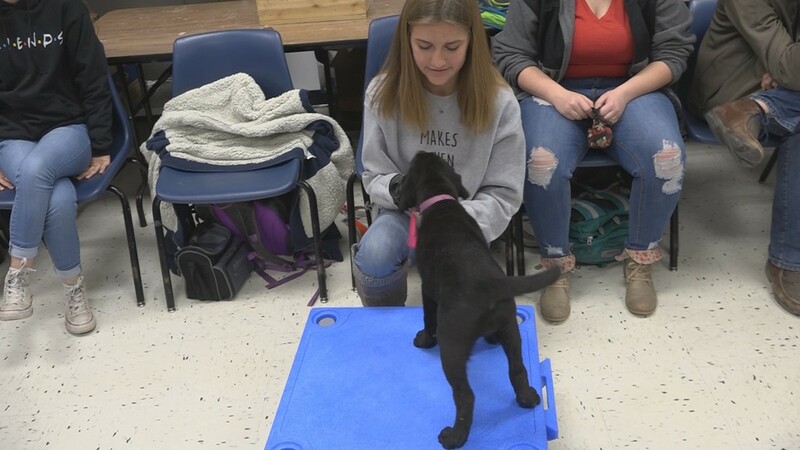 The dogs will go home with their part-time owner and then stay in Black's classroom throughout the school day, allowing many of students to work on training to the dogs. 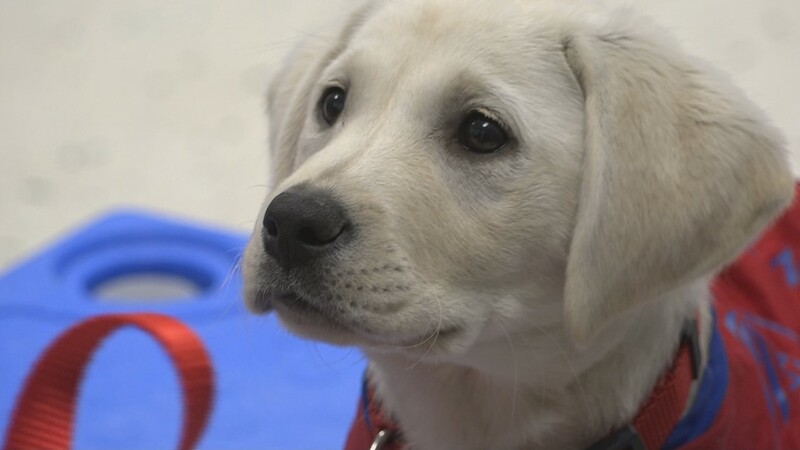 "Just knowing and understanding that, yes, potentially these dogs could save a life one day," Black said. "It makes it very rewarding." Shoebroek hopes to one day work with animals in some capacity, making this experience very valuable for him as well. "It's difficult but it's rewarding," Shoebroek said. "I am teaching the dog but it is also teaching me things like patience." Heineman has lived around animals all her life, so taking her puppy (Zesty) with her outside of school isn't that foreign of a concept for her. "They gave me one of the most energetic one of my schedule," Heineman said. "I play soccer and run track. She's very high energy and all over the place, but she's very good." Hammond knows how quickly dogs can learn and mean to people. For a good chunk of his life, he had a golden retriever -- Brodie. "They were made to help people be better people. He was a perfectly healthy dog," Hammond said. Brodie died unexpectedly this past summer from kidney failure. When Hammonds came back to school this semester, he knew he wanted to be a part of Black's new program. "I was like, 'Yes,'" Hammond said. "This is something I want to do. I want a dog back in the house." Even though Hammond is happy to get this experience for himself, he said he is honored to potentially help someone out down the line. 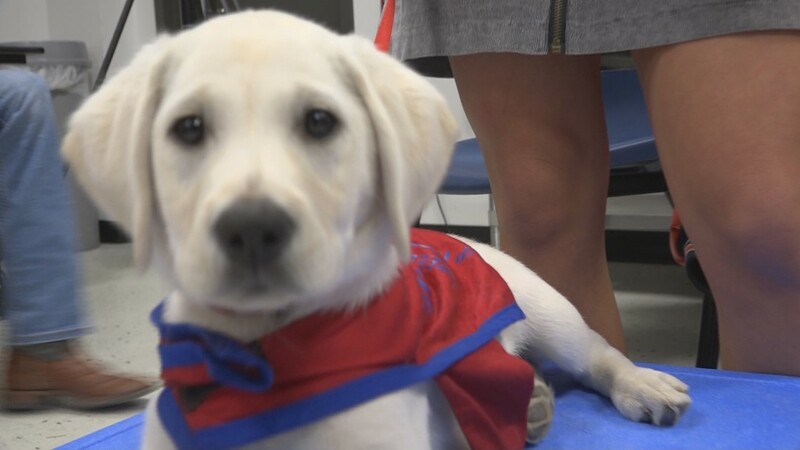 "If that dog does end up doing that one day, you know, I helped safe that person's life," Hammond said about Zam becoming a diabetic alert dogs. "I can say I was a part of that. It's worth the sacrifice." 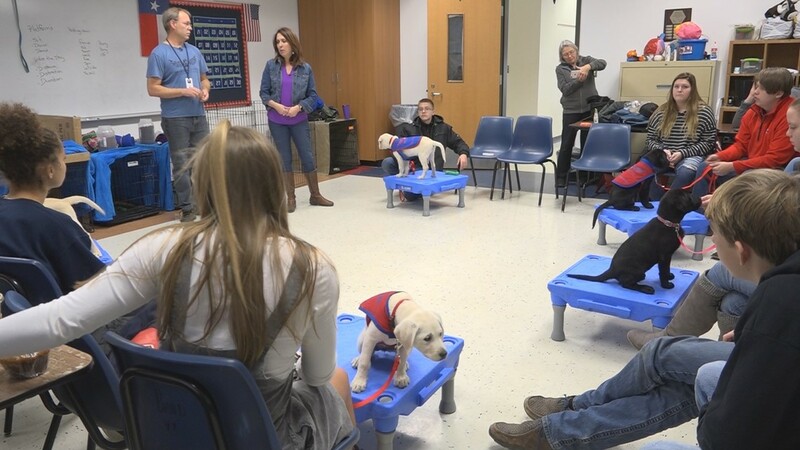 This partnership was made possible by a nearly $3,000 grant from the Wimberley Education Foundation. 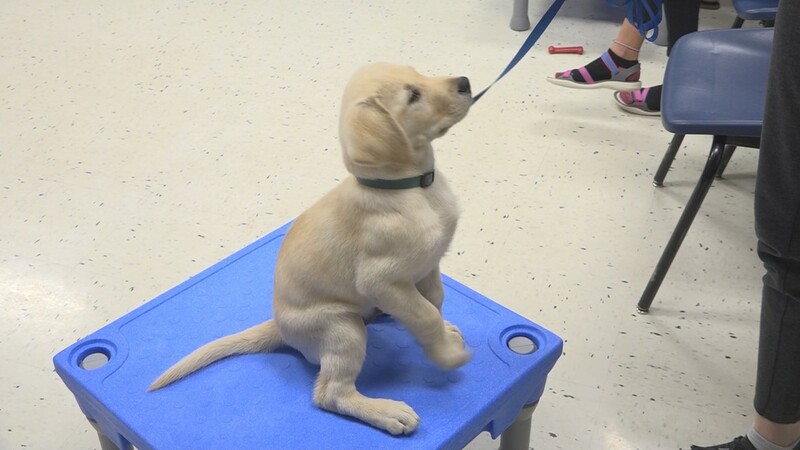 This helped pay for the puppies' training, grooming equipment and toys. 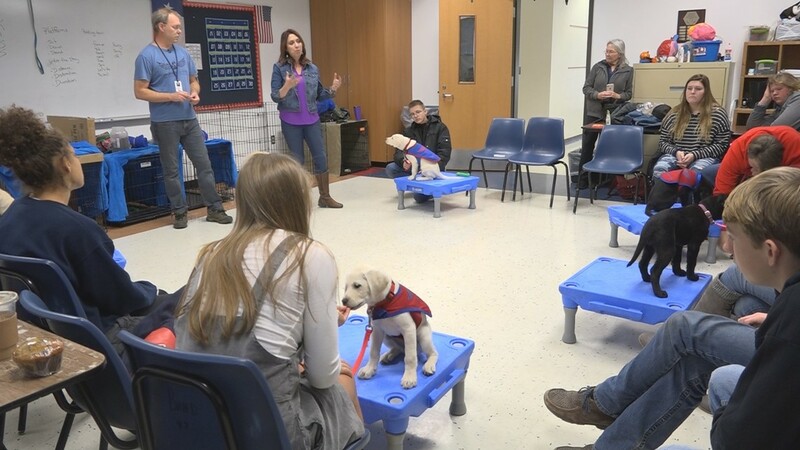 These dogs will be in Black's classroom for about 5 to 6 more weeks before they will start shadowing their owners through the whole campus – going with them to all of their classes. 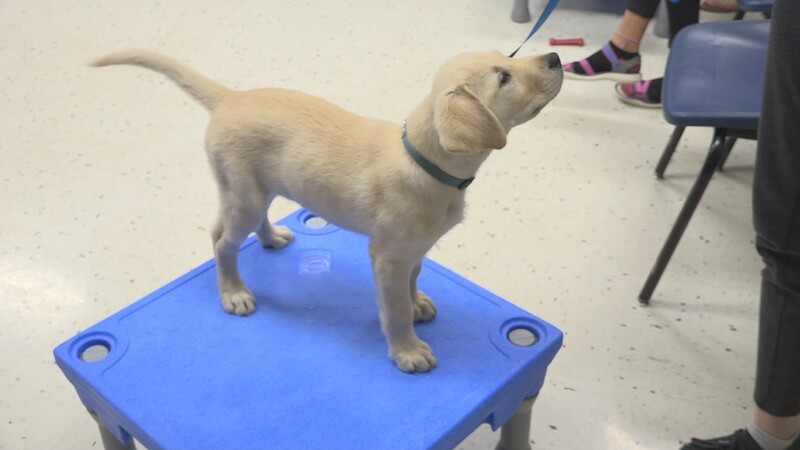 To learn more about Freedom Canines International, click here.